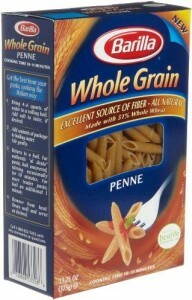 Home > Printable Coupons > Barilla Coupon for Whole Grain Pasta! Barilla Coupon for Whole Grain Pasta! Don’t miss this new Barilla coupon for whole grain pasta! We don’t see a lot of printables on Barilla products, so print now if you can use! Right now, get Barilla whole grain penne for just 50¢ at Harris Teeter!